Some questions have been posted in their blog that require some answers from me. So here are my 11 secrets about me. 1. Why have you decided to start writing a travel blog? My travel blog is only a month old. After my 3 months trip around South East Asia, I wanted to share with travel lovers -those who are currently traveling and those who can’t- my favorite spots I love around the world and the crazy adventures that make them mind-blowing to my eyes. I wanted to convey every piece of happiness, love, peace, freedom and wisdom I felt along the road and make them want to explore those places I felt in love with. I hope it’s working! 2. What is your next travel destination? Currently in Paris, I’m “moving” to Australia in summer 2014 for a couple of years. I don’t really want to settle down there so I’m gonna work and travel my way around the country and South East Asia (again) to explore new surroundings. 3. How do you get your free time for travel? I finished my law studies in November 2013. After that, I just wanted to live my dreams, learn and explore the world. I’m born as a traveler so it was an obvious fact to not looking for a job right after the end of my studies and travel the world. But I do not rule out the possibility to work for an NGO, or an international organization some day. I didn’t give up on law, I just put it on hold. So we’ll see where it’s gonna take me. 4. Are you ever homesick? You miss friends, family or home food? As Miriam Adeney (writer) said, “you will never be completely at home again, because part of your heart will always be elsewhere. That is the price you pay for the richness of loving and knowing people in more than one place”. 5. Have you ever had food poisoning and where? 6. Your worst travel experience. I didn’t have any terrible experience so far. It may sounds cliché but I’m one of those people who have learned to not let misadventures give the best of me and ruin my days. So I choose to always look bright side rather than be affected by whatever problem come my way (that’s one of the thing travel taught me). You should read my cambodian misadventure about that. 7. What is your favorite place/country you’ve been so far and why? LAOS! (that was the cry from my heart). It’s not a touristic place but the backpacker family is quite present there. It’s a wild country with endlessly mountains, a lot of rivers and beautiful spots near by to chill out. That was literally the most peaceful time of my life. 8. Have you ever tried any “weird” food whilst traveling (fried grasshoppers etc.)? 9. How many different countries have you visited? I don’t even know! I have to count so give me a sec. Huh, I’ve been to 20 countries in 5 diferent continents. 10. What is your dream destination, that you haven’t been to and would love to see? Wow. If I could, I would travel the whole world so it’s pretty difficult to choose only one country I haven’t been to. But I probably would say Alaska wilderness. 11. Which is the best beach in your opinion? A deserted beach, without tourist, only with a bottle of water and music, no matter where it is in the world. What’s your blog name means? What’s your first travel memory ? How long have you been on the road for ? How do you get your free time to travel? What’s your best wildlife experience ? Have you ever been robbed while traveling. If so, where? What’s your dream destination, one that you haven’t been to ? What’s your next travel destination ? Which country has surprised you the most so far, and why? Have you changed your way of looking at life since you’re traveling? If you had to give an advice to a large group of people what would it be ? I’m now looking forward to discover your answers! 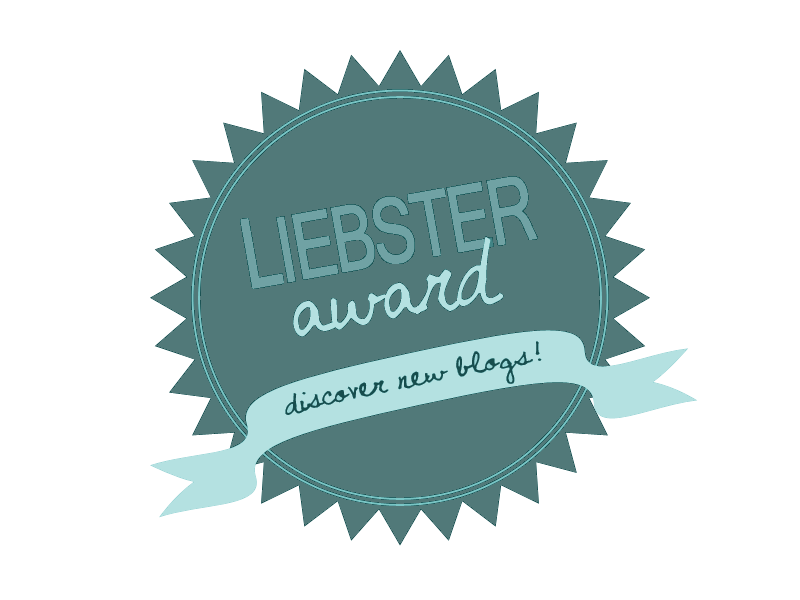 Congratulations on your Liebster Award! This really is a neat way to help new blogs get discovered… I don’t know about the Alaskan wilderness – give me restaurants and indoor plumbing any day – ha! Congrats!! WIsh you many more awards in future!!! Haha I love your enthusiasm for that! 🙂 Thanks a lot! I’ve been to Alaska! I don’t remember too much since I was only 13 when I went, but it was beautiful! There are tons of hiking opportunities and other outdoor activities to do as well, and in the summer it can actually get up to 80 degrees (fahrenheit) ! “you will never be completely at home again, because part of your heart will always be elsewhere. That is the price you pay for the richness of loving and knowing people in more than one place”. That is so perfectly accurate! Congrats on the Liebster!